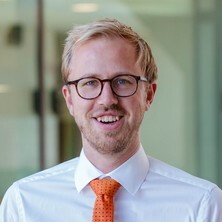 Rutger de Zoete joined UQ in 2018 as a Postdoctoral Research Fellow with RECOVER Injury Research Centre. With a background in physiotherapy (BSc) and human movement sciences (MSc), he completed his PhD in Physiotherapy at The University of Newcastle, Australia, investigating the role of cervical sensorimotor control in chronic neck pain. Rutger currently investigates mechanisms underlying chronic neck pain, in particular whiplash associated disorder. He aims to improve treatment options and is interested in the role of physical activity and exercise. Rutger has a clinical background and his passion for research in chronic pain conditions stems from his work as a musculoskeletal physiotherapist. de Zoete, R. M. J., Osmotherly, P. G., Rivett, D. A. and Snodgrass, S. J. (2018). Cervical sensorimotor control is not correlated with neck pain or neck disability in individuals with chronic idiopathic neck pain. In: Australian Pain Society/New Zealand Pain Society conference, Sydney, Australia, (). April 2018.
de Zoete, R. M. J., Osmotherly, P. G., Rivett, D. A. and Snodgrass, S. J. (2018). The Clinical Utility of Currently Available Cervical Sensorimotor Control Tests in Individuals with Chronic Idiopathic Neck Pain. In: Brisbane Pain Research Symposium, Brisbane, Australia, (). December 2018. Weerasekara, R. M. I. M., Osmotherly, P. G., Snodgrass, S. J., Marquez, J., de Zoete, R. M. J. and Rivett, D. A. (2017). A Systematic Review and Meta-Analysis of the Clinical Benefits of Passive Joint Mobilisation on Ankle Sprains. In: Australian Physiotherapy Association conference, Sydney, Australia, (). October 2017. Blyton, S. J., Edwards, S., Moghaddas, D., de Zoete, R. M. J., Palazzi, K., Oldmeadow, C., Bolton, P., Rivett, D. A. and Snodgrass, S. J. (2017). Associations between neck kinematics and pain in individuals with chronic idiopathic neck pain. In: Australian Physiotherapy Association conference, Sydney, Australia, (). October 2017.
de Zoete, R. M. J., Osmotherly, P. G., Rivett, D. A. and Snodgrass, S. J. (2017). Cervical spine sensorimotor control in individuals with chronic idiopathic neck pain. In: The University of Newcastle Centre for Brain and Mental Health Research conference, Newcastle, Australia, (). November 2017. Weerasekara, R. M. I. M., Osmotherly, P. G., Snodgrass, S. J., Marquez, J., de Zoete, R. M. J. and Rivett, D. A. (2017). Clinical benefits of passive joint mobilisation on ankle sprains. In: Sports Medicine Australia conference, Sydney, Australia, (). January 2017.
de Zoete, R. M. J., Osmotherly, P. G., Rivett, D. A. and Snodgrass, S. J. (2017). Head tilt response: a novel method to test spatial orientation in individuals with idiopathic neck pain. In: Australian Physiotherapy Association conference, Sydney, Australia, (). October 2017.
de Zoete, R. M. J., Osmotherly, P. G., Rivett, D. A. and Snodgrass, S. J. (2017). No differences in cervical sensorimotor control between individuals with chronic idiopathic neck pain and healthy individuals. In: Sensorimotor Control Satellite Meeting, Australasian Neuroscience Society conference, Sydney, Australia, (). December 2017. Snodgrass, S. J., Stanwell, P., Edwards, S., Moghaddas, D., Blyton, S. J., Cooper, R. A., de Zoete, R. M. J., Oldmeadow, C. and Rivett, D. A. (2017). Relationships between brain biochemistry and neck kinematics in chronic idiopathic neck pain. In: Australian Physiotherapy Association conference, Sydney, Australia, (). October 2017. Snodgrass, S. J., Stanwell, P., Edwards, S., Moghaddas, D., Blyton, S. J., Cooper, R. A., de Zoete, R. M. J., Oldmeadow, C. and Rivett, D. A. (2017). Relationships between brain biochemistry, pain and movement patterns in chronic idiopathic neck pain. In: Australian Physiotherapy Association conference, Sydney, Australia, (). October 2017.
de Zoete, R. M. J., Osmotherly, P. G., Rivett, D. A., Farrell, S. F. and Snodgrass, S. J. (2015). Sensorimotor control in people with insidious onset neck pain and healthy individuals: a systematic review. In: Australian Physiotherapy Association conference, Gold Coast, Australia, (). October 2015.